We will be closed from the 14th of October (Sunday) until the 16th of October (Tuesday). We re-open our restaurant on Wednesday, the 17th of October. We are a Korean family who have been living in Europe for over 20 years. Our mother is the restaurant's chef and she has been cooking and feeding family and friends for over 30 years in different countries, including Korea, France and Bulgaria. She is passionate about her food, preparing everything with love and attention. We are devoted to our customers in that we use ingredients of the finest quality in preparing our food. 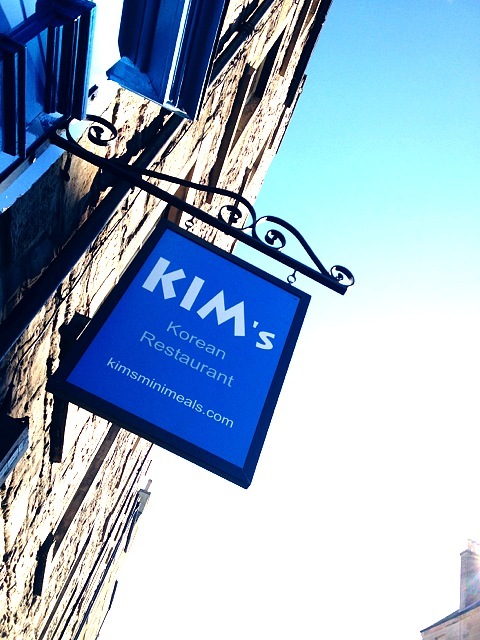 Our aim is to reach out to as many people as possible with our home-made Korean dishes and let everyone experience healthy Korean cuisine. Making people happy makes us happy! Monday to Saturday: Dinner times (5.30pm-9pm, last order 8.15pm). Doenjang (soy bean paste), a traditional Korean food that is fermented from soybeans, has been a fixture of the Korean diet for centuries. Recently, it has received great attention from western medicine for its nutritional and medical value. I think a lot of people would agree with me that’s the Kim’s Mini Meals! Owned by the Kim’s family, this small and nicely decorated Korean restaurant offers a decent range of authentic Korean food. Copyright © 2008 - 2019 Joomla Templates by ZooTemplate.Com . All rights reserved.